Price Promotion in 20% off Hinkler Craft & Puzzles! 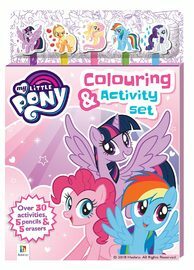 Bring your favourite characters to bright life with the My Little Pony Colouring and Activity Set. These six ponies are the best of friends, and celebrate their different skills and interests. They face challenges, share joys, and experience emotions just like people. Their offbeat experiences and exciting adventures help children learn about the magic of friendship. Now your little ones can take this feel-good magic and entertainment with them wherever they go, with this activity book, pencil and eraser set. The amazing shaped erasers, drawing and coloured pencils are a must-have collection that will remain even after the hours of activities are complete. 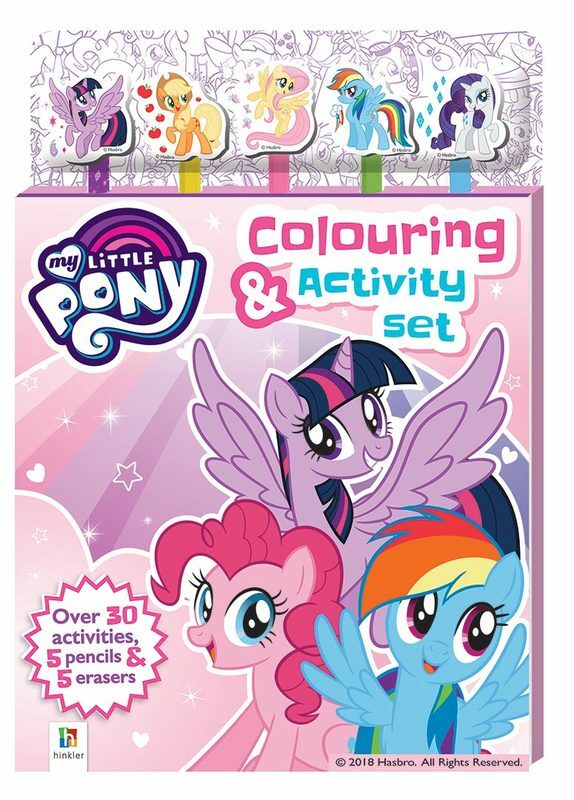 Over 30 colouring, drawing and other activities with all your favourite Pony Pals.